Would you like to host a Funshop? Click here to submit your idea and get in on the fun! A 45-Minute workshop with exhibitor Catherine Weiss on Friday, Saturday and Sunday. Living in freedom can sometimes bring up big or small worries in parents’ minds. You know yours like the back of your hand! Bring one or bring ’em all and we’ll do a little magic trick on them to turn them into deep, inner insights to get you back into the magic of unschooling again. Our magic wand will be The Work of Byron Katie. If you don’t know about The Work you can check it out beforehand or come and be amazed at how it can transform your unschooling life. Hosted by Catherine Weiss. Here’s a great opportunity to clear out your closets! Bring clean clothes, that you no longer need, to share with other unschoolers. Come by during the designated “funshop” time to pick up useful items for your whole family. Feel free to come browse through items even if you don’t have any to donate. Look at your old clothing through new eyes. Clothes that are outgrown, stained, flawed, etc. can be re-made into something new. Maybe they could serve you better as bottle-holders, place mats, rugs, baskets, bags, etc. — or maybe they just need creative repairs. Basic crochet skills are useful but not required. We will provide scissors & a few hooks to share as well as some basic sewing materials. Hosted by Janis Abel-Hyde & Annie Hyde. We will help everyone attending the conference for the first time understand the flow of the conference, maneuvering logistics, tips on getting your needs met and answer any questions you might have about how to make the conference work for you and your family. Or if you’re not a newbie, come share your favorite conference tips. Hosted by Kristin Lake & Carolyn Groves. Teens only. 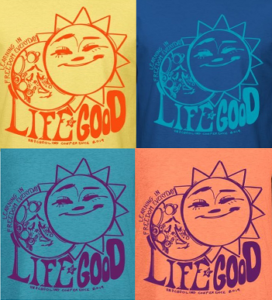 Are you a teen new to LiG? Are you a veteran teen looking to meet new friends? Come on down to the Get Teen to Know You! We’ll play name games, have friendship speed dating and pizza! Hosted by the LiG Teen Scene. Come join us for lessons and practice in unicycling, juggling, hand-walking, and slack-lining! We’ll get some exhilarating exercise while learning some new skills. Hosted by Karl Keefer. Using a bamboo skewer, cut-up magazines, and clear nail polish, you’ll learn how to make beautiful DIY beads that you can turn into necklaces, bracelets, or other accessories or decoration. They’re quick and easy to make, are very easy to do at home, and make great homemade gifts for friends or family. Hosted by Rachel Munzig. Come learn, explore, and maybe even share some language in a zero-pressure, immersive, often silly game of “Where Are Your Keys?” We’ll learn the basic “techniques” – hand signals that allow us to de-stress, ask for help, and more! – dive into the core language game, and throw our hands up to yell “How fascinating!” over and over as we make mistakes, say new words, and figure things out as a community, building our collective fluency level up, and up, and up! The techniques learned in “Where Are Your Keys?” are handy tools for any unschooler’s toolbox and can help with learning virtually anything, whether at home or out in the world. All ages and language levels welcome, seriously! Pop in for a few minutes or stick around for the whole ride! Visit whereareyourkeys.org for more information! Hosted by Leif Schmit. What are Artist Trading Cards? Artist Trading Cards (ATCs) are simply pieces of art that are made out of cards measuring 2.5”by 3.5”. You can buy special paper already cut to this size, or better yet, simply use sturdy paper you already have at home. Old file folders, card stock, greeting cards – any paper that is not flimsy – can be cut to the right dimensions and used as an ATC. Think about baseball trading cards and look for paper about that weight. Or, be creative and use materials other than paper. Just keep to the 2.5” x 3.5” size. Once you have your 2.5 x 3.5” card, what you do with it is up to you. Draw on it, paint, collage, sew, embellish, write words. In an ATCs funshop, all of the participants share materials, themes, techniques and ideas with others in the funshop to make unique ATCs. And we always schedule time for trading/swapping finished cards too! Cardstock-Cut to the 2.5″x 3.5″ size and leftover scraps. Colored paper of various weights and sizes. Old gift wrap, Magazines and Catalogs for collage cards. Watercolor paints, Crayons, Colored Markers, Gel Pens, Colored Pencils etc. Scissors, Paper Punches, Glue, Tape, etc. And any other Arts and Crafts supplies that you would like to share(Most Scrapbooking Supplies work well for making ATCs). *Even if you don’t participate in the ATC funshop, we would really appreciate donations of art supplies from everyone! * Hosted by Erika Davis-Pitre. Come play games like taxi cab, changes, town hall, alphabet, freeze, and more! It’s gonna be a fun time, all ages welcome and encouraged to join. Hosted by The Beegypt Bee Boys, a conglomeration of Amelia Van Brink, Max Van Landingham, Sebby Sellers, & Wilhelmina Van Brink. Come have fun and learn the basics of ASL (American Sign Language) with us! we will teach the alphabet, numbers, and basic phrases and words. Hope to see you there! Hosted by Rowan Hessel & Mirabella Pugliese. More funshops will be added soon!